Altera Corporation has stared production shipments of its Cyclone IV FPGAs, providing roughly 20,000 gates (6K logic blocks) for as little as $3 in volume, or 50,000 gates (15K logic blocks) with built in transceivers for $6. The Cyclone IV FPGAs are designed for cost-sensitive, small form-factor applications in the wireless, wireline, broadcast, industrial and consumer markets. These devices have a combination of low cost, 25 percent lower power compared to the previous generation of Cyclone products, and high functionality that addresses high-volume, low-cost serial protocol solution needs. "By offering Cyclone IV GX FPGAs in production shipments up to six months earlier than competing products, our customers can realize the cost, power and unique board space benefits of these devices," said Luanne Schirrmeister, senior director of component marketing at Altera. "Also, the availability of our Starter Kit gives designers confidence knowing that Cyclone IV GX devices have proven to be interoperable with other PCI Express chip sets." the signal quality of the FPGA transceivers, and develop and test PCI Express 1.0 endpoint designs by using Altera's PCI Express hard intellectual property (IP). In addition, the kit can be used with the Quartus(r) II Web Edition design software where no license is required. The smallest Cyclone IV devices, the EP4CE6 and the EP4CGX15, will start as low as $3 and $6 respectively for 250K unit quantities. Smart meters are starting to roll out commercially in the UK with a million meter deal between Landis+Gyr, the world's largest electricity metering and smart meter supplier, and Centrica subsidiary British Gas. The deal will see British Gas deploy up to one million of Landis+Gyr's "dual fuel" electricity and gas smart meters, along with Landis+Gyr's innovative touch screen in-home display, in UK customer homes, marking one of the largest and most advanced smart meter deployments in Europe. Under the deployment, which will precede the UK's main smart metering rollout, consumers will be able to independently manage their energy consumption, cut their energy bills and protect the environment. As part of the development, Landis+Gyr will share details of its smart metering system with third parties, allowing UK businesses a fast track to the creation of new and innovative solutions aimed at consumers, suppliers and utilities alike. This move - another industry first - is intended to provide other utilities with an open, practical blueprint for commercial-scale smart metering, crystallising guidance provided by both the UK Department of Energy & Climate Change (DECC) and UK regulator Ofgem (the Office of the Gas and Electricity Markets). "Our partnership with British Gas represents a major breakthrough for smart metering in the UK. Together, we will pioneer the technical and practical standards that we hope will see every home and business in the country switch to smart metering within the next decade," said Cameron O'Reilly, CEO of Landis+Gyr. British Gas is the first of the country's "Big Six" utilities to undertake a major deployment following the publication last December of the DECC's final plans for a national roll-out by 2020. "We view this smart metering roll-out as one of our largest and most important projects ever," said Petter Allison, Director for Smart Metering for British Gas. "Smart meters have a fundamental role to play as they help customers become far more aware of the amount and cost of energy they use which encourages people to reduce their usage and save money." In the UK, Landis+Gyr employs just under 500 people at manufacturing and R&D sites in Stockport and Peterborough, developing gas and electricity smart metering solutions to serve the entire Europe, Middle East and Africa (EMEA) market for the company. Landis+Gyr's technology currently supports 3 out of 4 of the UK's official Government smart meter trials. "The UK can lead the world into second-generation smart metering and energy management and this announcement marks the beginning of that process," added Steve Cunningham, Landis+Gyr CEO for UK & Ireland. "British Gas customers will be able to actively manage their energy consumption and drive down their bills whilst a future large-scale smart grid infrastructure will allow British Gas to manage demand, protect the distribution network and optimise energy generation, including intermittent sources of renewable energy." By combining a new generation of piezoelectric nanogenerators with two types of nanowire sensors, researchers at teh Georgia Institute of Technology have created what are believed to be the first self-powered nanometer-scale sensing devices that draw power from the conversion of mechanical energy. The new devices can measure the pH of liquids or detect the presence of ultraviolet light using electrical current produced from mechanical energy in the environment. 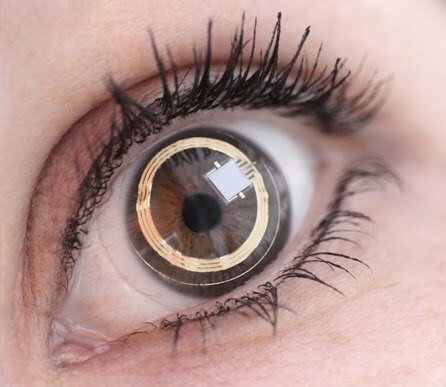 It has been developed to monitor the eyes of patients with glaucoma, but the latest technology from STMicroelectronics for a Swiss medical startup points the way to integrating a display in a contact lens. ST is to develop and supply a wireless MEMS sensor that acts as a transducer, antenna and mechanical support for additional read-out electronics in a system developed by Sensimed in Geneva. This solution will enable better management of glaucoma patients via earlier diagnosis and treatment that is optimally tailored to the individual patient. 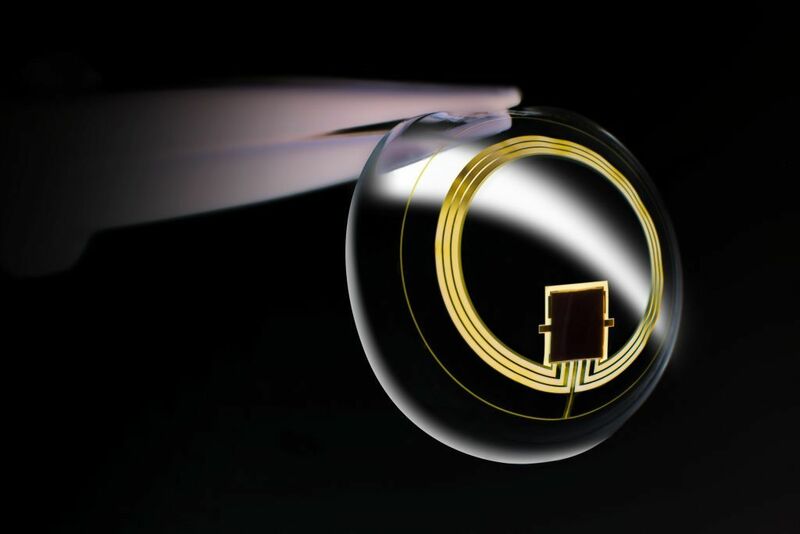 Sensimed's Triggerfish is based on a “smart” contact lens that uses a tiny embedded strain gauge to monitor the curvature of the eye over a period of, typically, 24 hours, providing valuable disease management data that is not currently obtainable using conventional ophthalmic equipment. 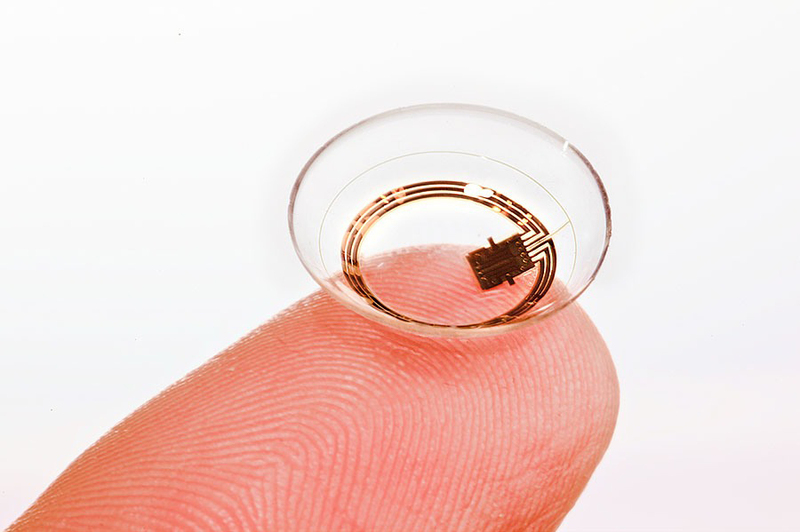 Sensimed’s ingenious solution is a two-part system comprising the smart contact lens and a small receiver worn around the patient’s neck. In addition to the strain gauge the lens contains an antenna, a tiny dedicated processing circuit and an RF transmitter to communicate the measurements to the receiver. The lens is powered via the received radio waves and does not need to be connected to a battery. The embedded components are positioned in the lens in such a way that they do not interfere with the patient’s vision. The lens is fitted by the ophthalmologist and when the patient returns the next day the ophthalmologist removes the lens and receiver, obtaining a complete record of IOP changes over the preceding 24 hours. ST expects the development of the MEMS sensor to be completed in Q2 2010 and manufacturing to start in Q3 2010, with availability outside trials to doctors and patients subject to regulatory approvals. Sensimed and ST anticipate progressively rolling out the product country-by-country across Europe beginning in Q3 and entering the US market by the end of 2011. 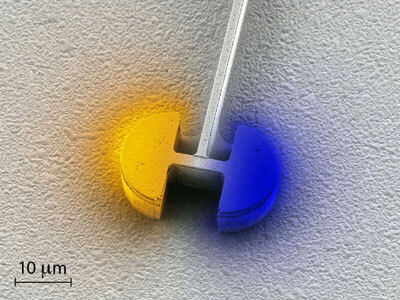 From Nanowerk, physicists at ETH-Zurich have developed the smallest electricallyumped laser in the world that could revolutionize chip technology ("Microcavity Laser Oscillating in a Circuit-Based Resonator"). The laser is 30 micrometers long, eight micrometers high and has a wavelength of 200 micrometers. This makes the laser considerably smaller than the wavelength of the light it emits – difficult, as lasers normally can’t be smaller than their wavelength! So instead of using a resonant cavity, the researchers used an electrical resonant circuit made up of an inductor and two capacitors where the light is effectively “captured” in it and induced into self-sustaining electromagnetic oscillations on the spot using an optical amplifier. This means the size of the resonator is no longer limited by the wavelength of the light and can in principle be scaled down to any size. This makes the microlaser very interesting for chip manufacturers as an optic alternative to the transistors. “If we manage to approximate the transistors in terms of size using the microlasers, one day they could be used to build electro-optic chips with an extremely high concentration of electronic and optic components”, says researcher Christoph Walther. Researchers at Carnegie Mellon University are working on a way to use the skin as an input device, similar to the approach taken by Light Blue Optics. 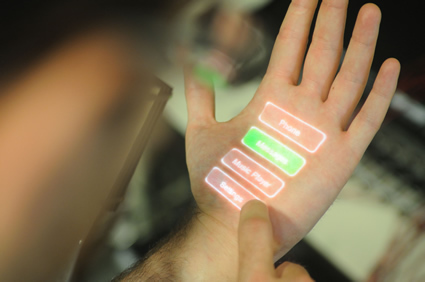 Skinput is a method that allows the body to be appropriated for finger input using a novel, non-invasive, wearable bio-acoustic sensor, to be presented in April. Devices with significant computational power and capabilities can now be easily carried on our bodies. However, their small size typically leads to limited interaction space (e.g., diminutive screens, buttons, and jog wheels) and consequently diminishes their usability and functionality. Since we cannot simply make buttons and screens larger without losing the primary benefit of small size, we consider alternative approaches that enhance interactions with small mobile systems. One option is to opportunistically appropriate surface area from the environment for interactive purposes. For example, Scratch Input is technique that allows a small mobile device to turn tables on which it rests into a gestural finger input canvas. However, tables are not always present, and in a mobile context, users are unlikely to want to carry appropriated surfaces with them (at this point, one might as well just have a larger device). However, there is one surface that has been previous overlooked as an input canvas, and one that happens to always travel with us: our skin. Appropriating the human body as an input device is appealing not only because we have roughly two square meters of external surface area, but also because much of it is easily accessible by our hands (e.g., arms, upper legs, torso). Furthermore, proprioception (our sense of how our body is configured in three-dimensional space) allows us to accurately interact with our bodies in an eyes-free manner. For example, we can readily flick each of our fingers, touch the tip of our nose, and clap our hands together without visual assistance. Few external input devices can claim this accurate, eyes-free input characteristic and provide such a large interaction area. Fortune magazine has listed its most admired companies in the world, with a separate break-out for semiconductor companies. Among semiconductor companies evaluated, STMicroelectronics is ranked the 6th most admired, in its first year as a participant in the survey. Additionally, it is the highest-ranking Europe-based chipmaker on the list. The “World’s Most Admired Companies” survey debuted in the U.S. in 1983 and began ranking companies worldwide in 1997. Companies are rated by their peers based on nine factors including quality of products or services, quality of management, global competitiveness, and soundness of financial position to name a few. This year approximately 4,170 top executives, directors, and financial analysts assessed companies in their own industries, and voted on companies being considered for the overall most admired list. A total of 667 companies from 33 countries across 55 industries were surveyed. General Motors R&D and several universities are working on a system that would use data gathered from an array of vehicle sensors and cameras and project images generated by compact ultra violet lasers directly onto the entire surface of the windshield. Head up displays are already used in cars for data suuch as speed, but this aims to use the whole windscreen for an augmenteed reality system. “We’re looking to create enhanced vision systems,” says Thomas Seder, group lab manager-GM R&D. His team is working with Carnegie Mellon University and The University of Southern California, as well as other institutions, to create a full windshield head-up system leveraging night vision, navigation and camera-based sensor technologies to improve driver visibility and object detection ability. “Let’s say you’re driving in fog, we could use the vehicle’s infrared cameras to identify where the edge of the road is and the lasers could ‘paint’ the edge of the road onto the windshield so the driver knows where the edge of the road is,” said Seder. Enhanced vision systems are a 21st Century take on Head up display technology that GM was the first to market in 1988. Designed to help keep driver attention on the road ahead by displaying important information such as vehicle speed, lane change indicator status and vehicle warning messages directly into the driver’s field of vision, head-up display systems are currently available on the GMC Acadia, Chevrolet Corvette, Buick LaCrosse and Cadillac STS. Scientists and lab technicians at GM’s global research and development in Warren, MI, are now developing next-generation head-up systems that could transform the everyday windshield into a device that can make driving even safer. While the full windshield head-up system has not yet been identified for a future GM vehicle program, Seder says some of the supporting technologies could end up in GM vehicles in the near-term future. Coated with a series of transparent phosphors which emit visible light when excited by a light beam—in this case from a compact laser—the windshield becomes a large area transparent display, instead of current HUD systems that use only a small portion of the windshield. The ability to use such an expansive surface enables the system to alert drivers of potential dangers that may exist outside of the normal field of vision—including children playing or motorcycles passing. On that foggy day, maybe worsened by sleet or snow, the enhanced vision system could combine night vision with the head-up system to identify and highlight the precise location of animals roaming along the side of the road that could have avoided recognition with the naked eye. As an added safety feature, the head-up system can be combined with automated sign reading technology, similar to the Opel Eye system that debuted on the 2009 Opel Insignia, to alert the driver if they are driving over the posted speed limit or if there’s impending construction or other potential problems ahead. Additionally, the system can use navigation system data to alert the driver of their desired exit by reading overhead traffic signs. Semiconductor spending in 2010 among Original Equipment Manufacturers (OEM) and Electronic Manufacturing Service (EMS) providers will post double-digit increases, reversing the cut in tspending over the last year and pointing to a more considered upturn. Among electronic equipment OEMs, spending in 2010 will rise to $177.9 billion, up 13 percent from $157.0 billion in 2009. iSuppli forecasts that the total spend by EMS providers in 2010 will amount to $37.7 billion, up 15.1 percent from $32.8 billion in 2009.The rise in spending among OEMs assumes the inclusion of all chips consumed by end products regardless of how the chips are purchased—including OEM direct purchases as well as procurement conducted through EMS or distributors. Hewlett-Packard is projected to be the top OEM semiconductor spender in 2010, a position it will retain after taking the No.-1 spot away from Nokia, which fell to third place in 2009. HP will spend an estimated $12.6 billion this year, compared to $10.99 billion in 2009. In second place among top OEM spenders for 2010 will be Samsung Electronics, expected to spend $12.5 billion, compared to $10.3 billion last year. Notwithstanding its runner-up ranking for two consecutive years, Samsung is projected to take over the No.-1 title in 2011, thanks to its broad range of businesses—including new wireless handsets, thin LED-backlit TVs and 3-D TVs—that will drive increased semiconductor spend for the company. Following Nokia in third place, Apple will become the fourth largest spender in 2010, moving past Dell. Though not even appearing in the ranks of the Top-10 semiconductor purchasers before 2006, Apple started advancing after introducing the iPhone in 2007 and is expected to surpass Nokia to land at No. 3 in 2011. The attached figure presents the world’s Top-20 OEMs ranked by semiconductor spending in 2010. Among EMS providers, the projected rise in spending this year follows a significant drop in revenue for the group in 2009 due to big declines in OEM shipment orders. However, large providers can expect to recover quickly in 2010. The top EMS spenders in 2010 will include Foxconn, Flextronics, Jabil Circuit and Celestica. For No.-1 Foxconn, spending will reach $22.6 billion in 2010, up 18.7 percent from $19.0 billion in 2009, boosted by the company’s manufacturing of HP products, Nintendo’s Wii, Sony’s PlayStation 3 and Apple’s iPod, iPhone and the soon-to-be-released iPad. Following Foxconn in second place will be Flextronics, projected to spend $7 billion in 2010, up 8.8 percent from $6.4 billion last year. The EMS giant, headquartered in Singapore and whose clients include Sony Ericsson, HP and Research In Motion, will continue to expand manufacturing facilities in China. The biggest markets for EMS providers include compute platforms and wireless communications. However, the share of smaller markets will increase over time, indicating that OEMs will start outsourcing other types of products besides computers and handsets. Mentor Graphics is teaming up with STMicroelectronics on a broad collaboration to develop advanced design solutions at 32nm and down to 20nm. 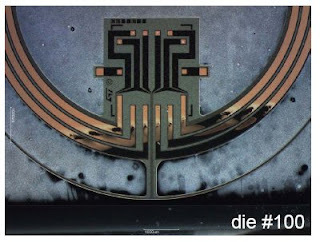 The three-year joint-development project, named DeCADE, seeks to build on advanced design solutions for SoC (System On Chip) development for Digital and Analog design, including system-level approaches, design methodologies, place and route strategies, optical correction for advanced manufacturing, modeling, electrical characterization and parasitic extraction. ST will significantly contribute to the development of these new SoC design tools, which will give ST a head start in its ability to deliver customer-focused semiconductor chips and platforms. DeCADE will provide design solutions for core CMOS technologies as well as for value-added and application-specific derivative technologies that are developed from the core CMOS process. These projects can make a fundamental difference in chip capability and, performance, as well as in system-solution cost; among the value-added derivative technologies being considered by the DeCADE projects include RF (Radio Frequency) and wireless technologies, as well as 3D Packaging and chip stacking technologies. As a recognized pioneer in these technologies, ST’s participation will assure the strength of the design solutions’ foundation and ensure that its next-generation tools contribute to its maintaining product and technology leadership. Following the success of applications stores on mobile phones - particularly with Apple and Android - the next move is to apps running on Android on consumer equipment, and Samsung Electronics in the US is the first to officially launch its own site. Samsung Apps is the first HDTV-based application store where users can download applications from select 2010 Samsung HDTVs, Blu-ray Players and Home Theatre systems via the upgraded Internet@TV – Content Service. Samsung Apps provides consumers with an expanded, easy to navigate selection of content and applications from leading services like The Associated Press, Netflix, Pandora, Twitter, USA TODAY, and VUDU. More than 20 apps will be available by the end of March, with hundreds expected by the end of the year. The new application platform allows content owners and developers to develop apps that work across multiple devices for the ease and convenience of consumers. Content and application developers will have new opportunities to build applications, content and services through the Samsung Apps Software Developers Kit (SDK). The forthcoming developers program will be an open platform that encourages anyone from premium content owners to individual developers, to create their own applications. Samsung expects many additional partners to become Samsung App developers by the end of 2010. Despite a 5% decline from 2008 to 2009, IMS Research sees relatively strong growth in smartphones, portable media players, set-top boxes, LCD televisions and refrigeration appliances for 2010, which are expected to significantly contribute to global CE revenues of $406 billion during the year. Global revenues for consumer electronics reached $375 billion (excluding home office equipment and low-end mobile phones) in 2009. Combined revenues for years 2010 to 2012 are forecast to pass $1.3 trillion. "In addition to typical CE devices such as TV sets, set-top boxes, digital cameras, smartphones and netbooks, we are expecting to see increased revenue for the CE industry in major home appliances and telehealth, not to mention the nascent connected tablet market," said Shane Walker, IMS Research’s Consumer Electronics Group Manager. "Contributions to the 2010 Yearbook from our Power & Energy and InMedica research groups show that refrigeration units and room air-conditioners will account for 60% of major home appliance revenue and 19% of overall CE revenue. While telehealth remains an emerging category for CE, consumer-led telehealth services could prove to be the disruptive influence required for professional care authorities to drive telehealth forward”. The new study, The Consumer Electronics Yearbook – 2010 edition, provides detailed market analysis on 40 product types covering portable consumer devices, active speaker systems, PMP docking stations, digital picture frames, home theater systems, televisions, appliances and home medical equipment. It offers a concise and unique perspective on the consumer electronics industry through both quantitative and qualitative analysis compiled from several studies recently produced by IMS Research. After replacement rates for digital cameras fell by 5% in 2009, revenues are forecast to increase in 2011 and 2012 on growth in shipment volumes. Revenues will begin to decline slightly starting in 2013 as average prices continue to drop. Portable navigation device sales are forecast to grow in India and South America as improvements in accurate up-to-date mapping increase. Households displaying Internet video on the TV set via a game console, proprietary device, or a Blu-ray player comprised the vast majority of total Internet TV households in 2008 and 2009. HD 1-Way set-top boxes experienced a temporary spike in shipments as a result of the US NTIA Set-top Box subsidy. After 2009, IMS Research expects HD 1-Way boxes to hold steady at 6-7% of total shipments. The most advanced millimetre wave startup, SiBEAM, has raised $36.5m in its D round of funding to accelerate the consumer adoption of its 60GHz short range wireless technology. All of SiBEAM’s original investors contributed to this round including U.S. Ventures Partners (USVP) and New Enterprise Associates (NEA), joined by new partners in SiBEAM’s success, Lux Capital and Hatteras Funds. Best Buy and Cisco have also contributed strategic equity investments to support SiBEAM’s growth as well as fund future projects for personal computing and mobile devices. SiBEAM’s second generation 60GHz chipset with its OmniLink60 Technology was brought into mass production earlier this year for A/V receivers, home theater-in-a-box systems, Blu-ray players, set-top boxes, media center PCs, and consumer laptops. The next generation of 3D API (application programming interface) that is deployed on all major desktop operating systems has been launched, along with a retrofit to allow the new capabilities on existing graphics processors. OpenGL is vital for desktop systems but also for smartphones with the OpenES standard and WebGL as an API for better Web graphics. The OpenGL 4.0 specification has been defined by the OpenGL ARB (Architecture Review Board) working group at Khronos, and includes the GLSL 4.00 update to the OpenGL Shading language in order to enable developers to access the latest generation of GPU acceleration with significantly enhanced graphics quality, acceleration performance and programming flexibility. This new release continues the rapid evolution of the royalty-free OpenGL standard to enable graphics developers to portably access cutting-edge GPU functionality across diverse operating systems and platforms. The full specification is available for immediate download at http://www.opengl.org/registry . OpenGL 4.0 further improves the close interoperability with OpenCL™ for accelerating computationally intensive visual applications. OpenGL 4.0 also continues support for both the Core and Compatibility profiles first introduced with OpenGL 3.2, enabling developers to use a streamlined API or retain backwards compatibility for existing OpenGL code, depending on their market needs. GE Intelligent Platforms has launched a rugged 6U OpenVPX Single Board Computer (SBC) that is the first with an integrated GPGPU (general purpose computing on a graphics processing unit) capability. The IPN250 delivers high levels of computing performance for size, weight and power (SWaP) constrained platforms at lower cost, creating new application opportunities. It enables system integrators to deploy a single COTS module where previously multiple disparate modules would have been required – undertaking, for example, front end processing of sensor-acquired data, digital signal processing, backend processing and graphics/video processing, and delivering high resolution mission critical data more rapidly than has previously been possible. The IPN250 is the second product from GE to feature NVIDIA’s CUDA technology: the CUDA-enabled GRA111 3U graphics board was announced in November 2009. CUDA is becoming increasingly attractive to systems integrators in military and aerospace since it has been demonstrated to be capable of enabling performance gains of up to 100x in a range of applications: its innovative technology and openness create the opportunity for improved productivity and sustainable competitive advantage. It is increasingly mandated by some Department of Defense (DoD) program offices because it offers increased flexibility and reduced cost of ownership when compared with previous FPGA-centric solutions. The IPN250 combines NVIDIA’s latest GT240 96-core GPU with an Intel® Core™2 Duo processor operating at 2.26GHz and 8 GBytes of DDR3 SDRAM to deliver up to 390 GFLOPS of performance per card slot, depending on the application. It is designed from the ground up to be compliant with the OpenVPX standard, ensuring interoperability with a broad range of other OpenVPX boards. Providing a computationally-dense platform, the IPN250 is ideal for demanding applications that are constrained in terms of size, weight and power (SWaP). It is also VITA48/REDI-compliant, allowing it to be deployed in the harshest environments: build options for air-, spray- and conduction cooling are available. The IPN250 feature set includes two primary data plane, 10 Gigabit Ethernet ports supporting multi-board switched fabric OpenVPX architectures. A 16-lane PCI Express gen2 interface on the P2 expansion plane provides high speed interconnect for multi-board GPGPU clusters as well as system I/O to PCI Express-enabled sensor modules such as GE’s family of Xilinx Virtex5 and Virtex6 mezzanine cards. Two 1000Base-T and two 1000Base-Bx control plane ports are available, together with additional PCI Express, USB 2.0 , SATA, COM ports, GPIO , audio and TV input. Video and multimedia is supported via the dual link DVI, HDMI and VGA ports directly into the NVIDIA GT240 device to cater for a wide range of interfaces. GE Intelligent Platforms’ AXISLib advanced multiprocessor software development VSIPL, DSP and math libraries for CUDA and INTEL SSE4 facilitate application development and code portability for the IPN250 and future GPGPU platforms. In addition to NVIDIA’s CUDA environment, supported software includes Linux, Windows, Microsoft DirectX, OpenCL, OpenGL and MATLAB, together with NVIDIA’s PureVideo Technology and PhysX. Britain should invoke some of the spirit of Inmos – a government-owned semiconductor company set up more than 30 years ago – to establish a £300m series of new technology centres to lay the basis for economic growth, according to a top government adviser. IBM scientists have unveiled a significant step towards replacing electrical signals that communicate via copper wires between computer chips with tiny silicon circuits that communicate using pulses of light. As reported in the recent issue of the scientific journal Nature, this is an important advancement in changing the way computer chips talk to each other. The device, called a nanophotonic avalanche photodetector, is the fastest of its kind and could enable breakthroughs in energy-efficient optical computing. The IBM device uses the “avalanche effect” in Germanium, a material currently used in production of microprocessor chips. Conventional avalanche photodetectors are not able to detect fast optical signals because the avalanche builds slowly. The Nanotechnology Knowledge Transfer Network (NanoKTN), one of the UK’s primary knowledge-based networks for Micro and Nanotechnologies, and the Institute of Nanotechnology (IoN), a professional membership organisation for the nanotechnology industry, has announced a collaboration to encourage and support global business development for UK SMEs. The partnership will see the launch of the International NanoMicroClub (INMC) and the opportunity for selected SMEs to host workshops at three major international events, offering vital networking opportunities. If the future of UK nanotechnology is going to be securely embedded in the global market, we need to ensure UK SMEs are including international business development and collaboration in the marketing mix. However, with international marketing costing around 14 times the equivalent domestic marketing budget, it limits the international interaction that a UK SME can undertake. International business development therefore poses a significant barrier to SMEs, which this project seeks to address. The INMC was created through a partnership between the NanoKTN and IoN and builds on the IoN’s existing NanoMicroClub. The club aims to provide a platform for UK micro and nanotechnology companies to network and engage internationally with global markets, previously inaccessible due to a lack of funding. The club will be taking UK based companies developing nanotechnologies to three well known and highly regarded international events and highlighting them to an international audience through specific and pre arranged networking and brokerage sessions. Building on networks developed within the NanoKTN and IoN, the INMC partnering workshops will comprise short presentations from UK delegates, followed by facilitated one-on-one meetings between company principals. The three events that are planned cover the three major trading areas, USA, Europe and Japan. Each event will have a particular theme specific to the trading strength of each area. The first event in the USA will be at the NSTI conference in Anahiem, CA and will be themed around the bio-nanotechnology area. Further events in Europe and Japan are planned in the last quarter of 2010 and first quarter of 2011 respectively. Further details of these events will be available in due course. “The NanoMicroClub has been assisting UK nanotechnology companies for over five years as it has provided a networking platform to assist companies in accessing new customers and routes to market. Our new partnership with the NanoKTN will allow us to really go global and strengthen our successful formula” said Del Stark, Business Development Manager of the Institute of Nanotechnology.